Are Trees Really More Valuable Than Children? Posted by V the K at 10:17 pm - September 3, 2014. In Iowa, two young boys are facing felony charges for tearing a bit of bark off a playground tree. Police in Mason City, Iowa recently arrested two children and charged them with felony criminal mischief for stripping bark from a tree in front of their school. A neighbor with nothing better to do with their time witnessed the children peeling the bark from the tree and felt the need to call the police. Meanwhile, in California, an illegal immigrant who ran over two little girls in her car – killing them – gets off scot-free. No prison time, and she won’t be deported because of Obama’s DACA Amnesty program. Will Obama’s Adoring Cult Ever Admit They Were Wrong? Posted by V the K at 7:33 pm - September 3, 2014. As ISIS runs amok in Iraq and Syria decapitating Americans and committing genocide, as Libya falls to Islamists, as American, British, and German citizens rush to join up with ISIS and prepare to bring home their savage ways, as Boko Haram slaughters entire African villages, the President of the United States dithers in denial. You have to wonder if reality has yet caught up with any of Obama’s slavering fan-boys yet. Hot Air reminds us how, in 2008, gay Trig-Palin Conspiracy Theorist Andrew Sullivan proclaimed that Obama’s face was going to make Muslims like America, and his magical genius would transform the political dynamic in the Middle East, create lasting peace, and raise America’s internal prestige to unprecedented levels of awesome. I wonder if this seems as idiotic to Andrew Sullivan now as it did to everyone with an IQ above room temperature in 2008. Posted by V the K at 8:29 am - September 3, 2014. A 16 year old in South Carolina is suing the Department of Motor Vehicles (with the backing of a Gay Activist group, natch) because they wouldn’t take his driver’s license photo in full drag. Chase Culpepper, who was born male, regularly wears makeup and either androgynous or women’s clothing. The teen does not identify with gender-specific pronouns. Culpepper told reporters Tuesday that being ordered by officials to remove what they called a disguise was humiliating. The lawsuit filed in federal court Tuesday says the DMV violated the teen’s rights. Posted by V the K at 7:39 am - September 3, 2014. A Central California mayor’s remarks that bullying victims should toughen up and defend themselves has sparked anger among some city officials and gay rights advocates. Of course, this didn’t sit well with the Party of Perpetual Grievance and Victimhood. And, naturally, the loudest whining came from the LGBT quarter. Melissa McMurrey of Gay Porterville told KFSN-TV that she felt attacked by the mayor’s comments. She said bullies often target young gay people. The very idea of teaching people to be strong and independent is anathema to the left. Victims are a key Democrat constituency, and children need to be indoctrinated from a young age not to be independent, but that the protective arms of the state will provide a ‘Safe Zone’ for them. Posted by V the K at 7:28 am - September 3, 2014. 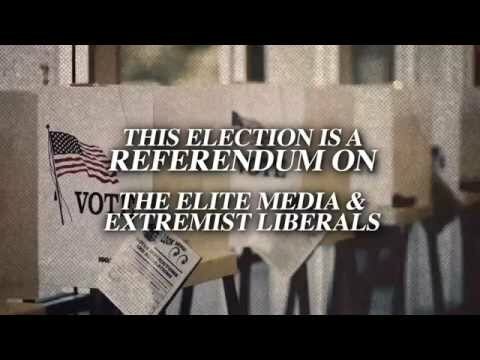 A conservative group has released the attack ad below in support of Arkansas senate candidate Tom Cotton, a war veteran who is running against Democrat Mark Pryor, who is one of those ruling-class dynastic Democrats who inherited a senate seat from his father because politics is the family business. (See also, Democrat Senators Mark and Tom Udall, Mary Landrieu, and Bob Casey.) It makes the point that red state Democrat senators are essentially puppets who vote the party line; and the party line is set by the radical leftists who run the party. Mark Pryor may talk like Ted Cruz when he’s campaigning in Arkansas, but he votes like Liz Warren when he goes back to Washington. This is a direct consequence of amending the Constitution to require the direct election of senators. Senators do not represent their states, any more. They represent their parties. As for the ad itself, it is shrill and over-the-top. But in 2012, Team Obama went shrill and over-the-top with their attacks on Mitt Romney; while Romney tried to win by presenting a cogent and rational economic and foreign policy. We all know how that worked out.